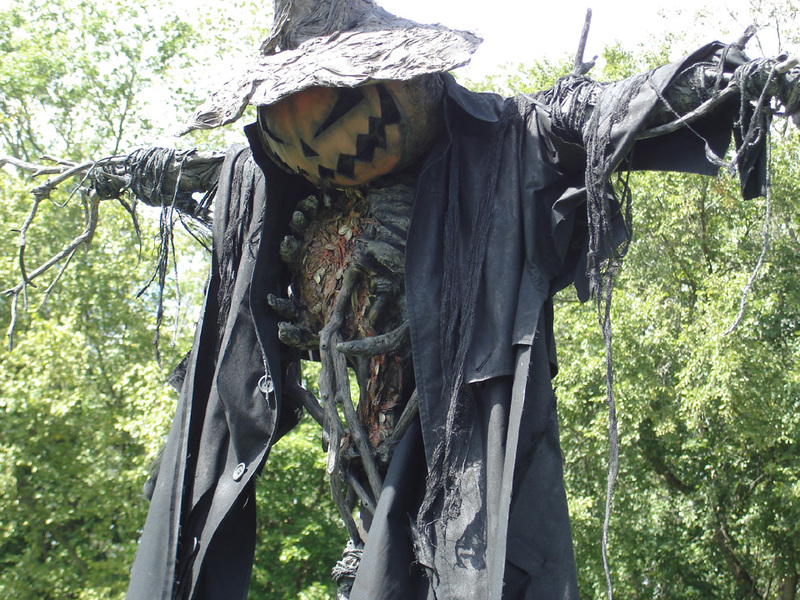 Believe it or not, scarecrows have been around for a long, long time. In fact, farmers have been using them for more than 3,000 years to guard their fields against flocks of hungry birds. In the fields of ancient Greece, wooden statues were placed in the fields, carved to represent Priapus, a minor Greek fertility god. During the Egyptian era, scarecrows were used along the Nile River to frighten away quail. In today's world, when we think of scarecrows, we probably immediately think of the cute and lovable scarecrow from The Wizard of Oz. He was a rather harmless character adored by many. 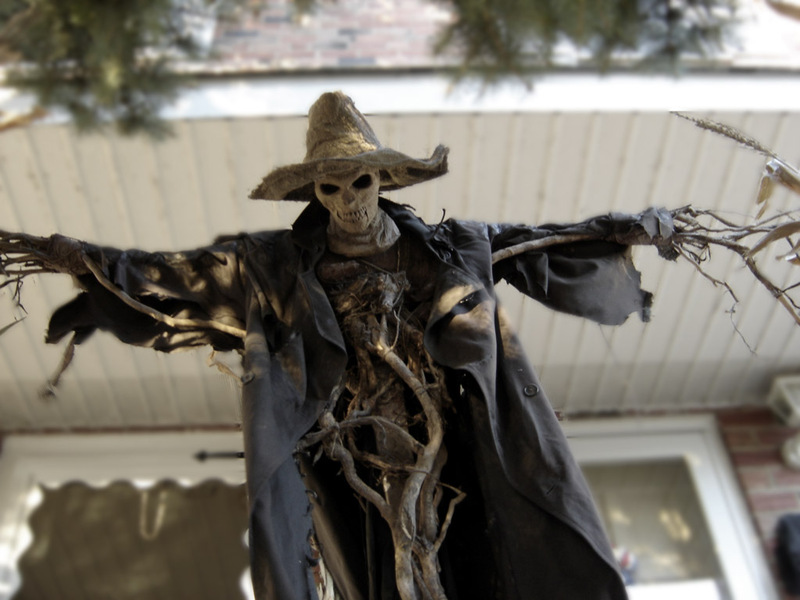 However, not all scarecrows are quite as friendly. If you've ever watched a good horror movie, you know how eerie and creepy they can actually be. They're not just scary in the movies either. Some farmers take pride in scaring the pants not only off of birds but people, too. 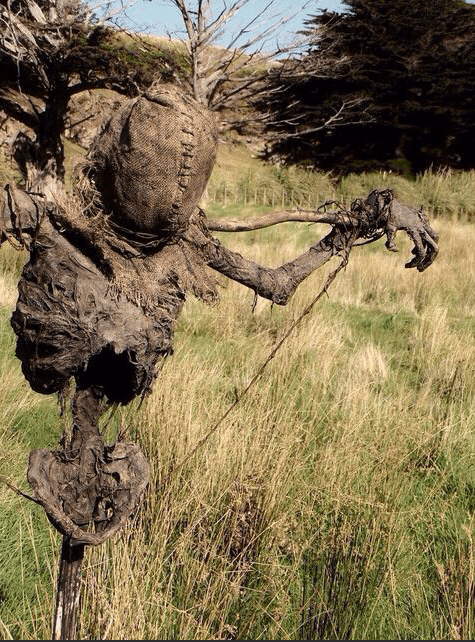 The creepy scarecrows below are just some of the few that seem possessed by pure evil. Check 'em out--if you dare. 1. I'm not entirely convinced that this scarecrow wasn't human at some point. 2. I wouldn't be caught dead in this field--nor would any birds apparently. 3. 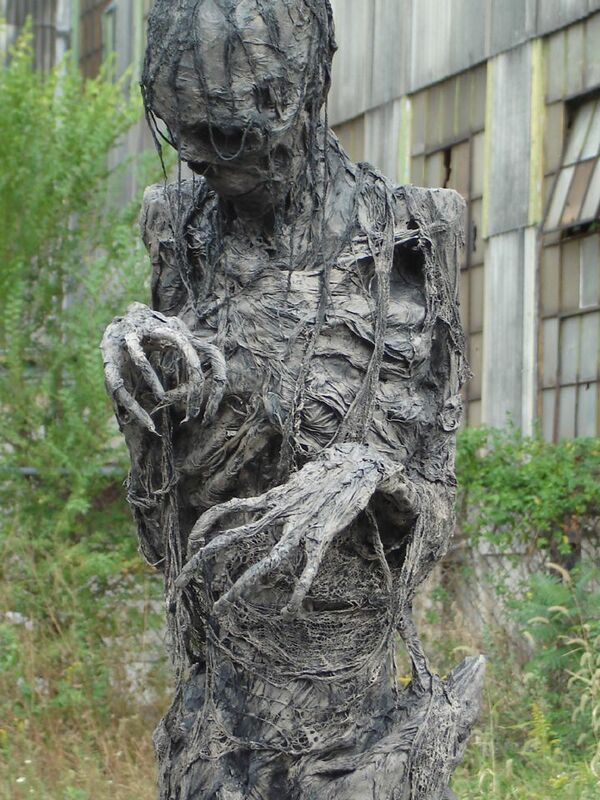 A zombie scarecrow! It not only frightens birds, but it will bite them if necessary. 4. 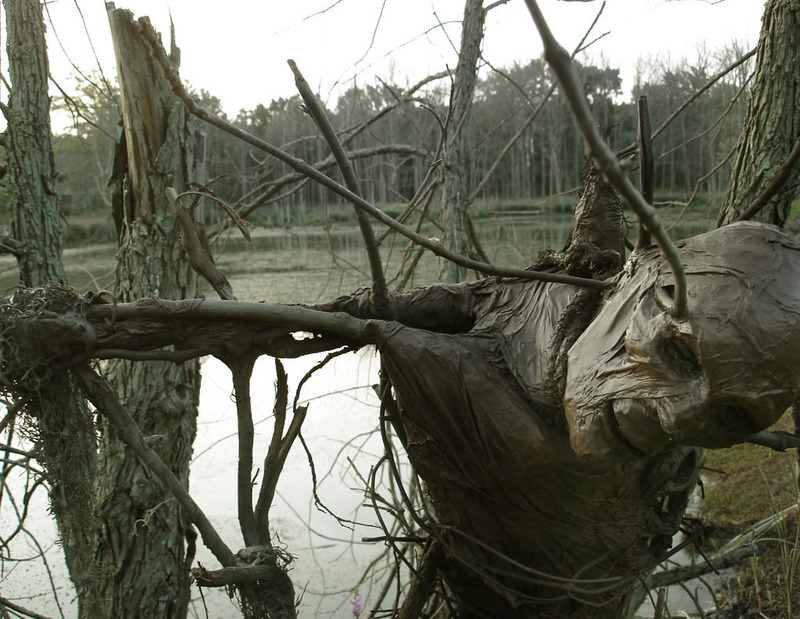 At some point in time, this scarecrow was once probably half human, half alien. 5. Don't let its small size fool you. It's nothing but pure evil. 6. This is one pumpkin we want no part of. 7. ...or this one either. 8. We wouldn't be caught dead in this field at night. 9. In Japan, farmers are actually using headless mannequins to protect their fields from birds. Kind of creepy! 10. This one just made the hair on our arms stand on end. 11. Simply known as "The Bog Man"
12. 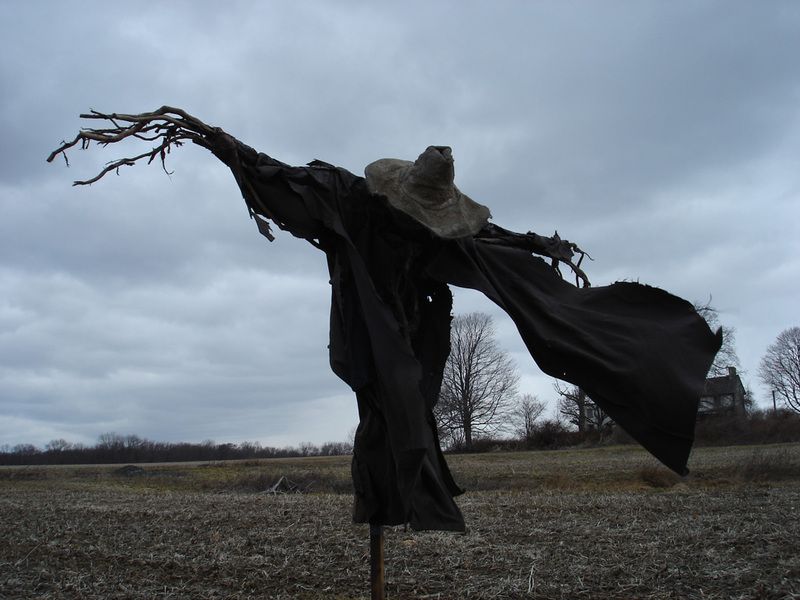 A scarecrow with an ax is just a bad, bad combination. 13. 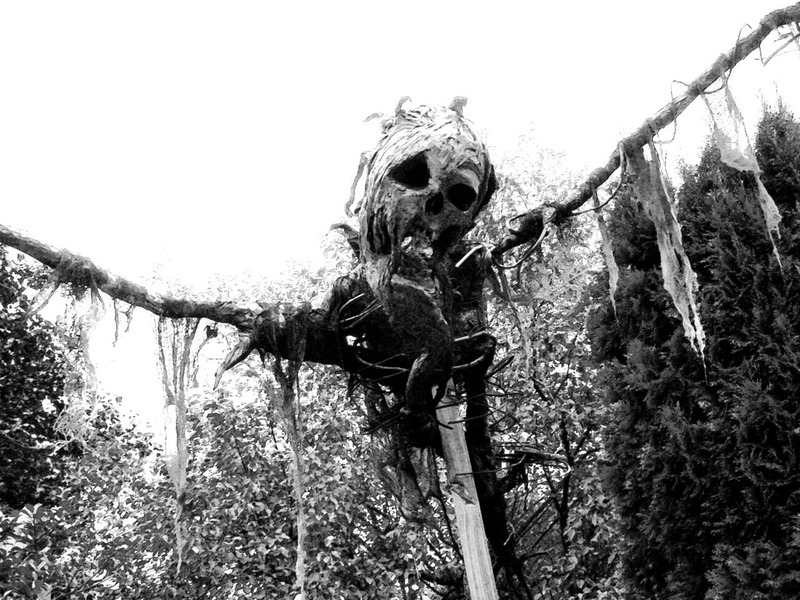 Nothing apparently scares this bird--not even this spooky scarecrow. 14. I think it's smiling at us...but not in a good way. 15. That's the face only a mother could love. 16. These crows don't give darn who they're hanging out with. They seem to like their "friend." 17. This creepy scarecrow is known to roam the Missouri cornfields. 18. This scarecrow is so lifelike it adds to the creepiness of it all. It doesn't help that it's located in BFE either! 20. We don't want to go inside that house you're guarding anyway.